Basically its the HAF 932 with an aluminum shell, which IMO, looks way better. I hate the HAF's design, looks like a total dust magnet. I love the fact that the top 280mm can be replaced with 3x120mm thus making a radiator install really simple. It was rumoured to be $100 more than the HAF but that rumour has been dismissed since Cooler Master reps said it's TBA. Release date is apparently November 25. 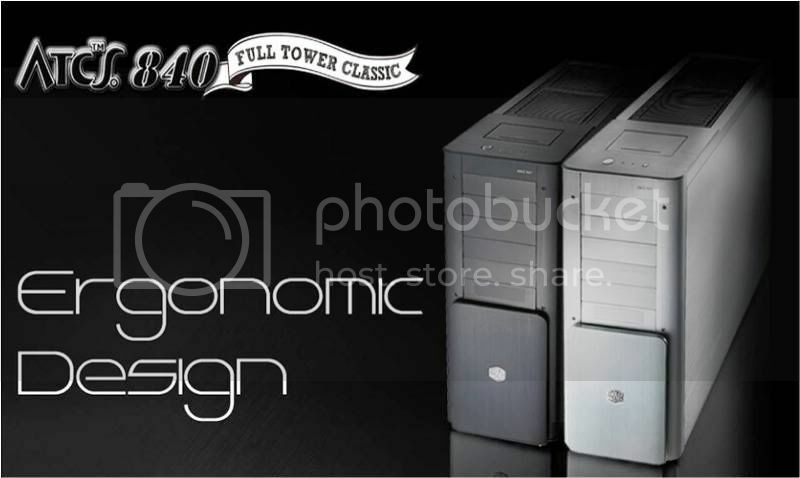 If its $100 more, it would bring it to about $250 which IMO is a much better value than the Silverstone Fortress FT01-BW since this is a full tower, though there's no noise dampening and it has 2 less hard drive cages. Wow nice looking case.. Slide out mobo tray, cable management.. But doesn't it look smaller than the HAF 932. It's actually slightly bigger that the HAF. Dimension (W / H / D)(W)9.0" X (H)21.5" X (D)22.7"
Holly cow, the picture makes it look smaller. I hope it is not as pricy as Cosmos, more in the same price range, I just find the naming technique of CM a little odd!!.. It'll be about 299.00 for sure. Size, aluminium etc, it all costs. Also, I'll say it again and again, "sound dampening" does not exist in any case. Don't listen to the hype any of these companies sell you. They just stick regular foam or "sound foam" in there which is not acoustically tuned to match the frequencies the fans emit; not only that we all change fans and unless you know which frequency the new fans and all the components generally emit then you can't even begin to guess what type of acoustic foam to put in place of the crap they stuck in there ahaha. To keep it simple: There is no foam you can put in a case that will absorb every frequency, and there is no foam in existence that completely absorbs mechanical distortion; i.e. vibration etc unless you want to place a giant piece under neath the case between the desk or floor you're placing it on. It really just acts as insulation and keeps heat inside the case. You're better off investing in good fans. 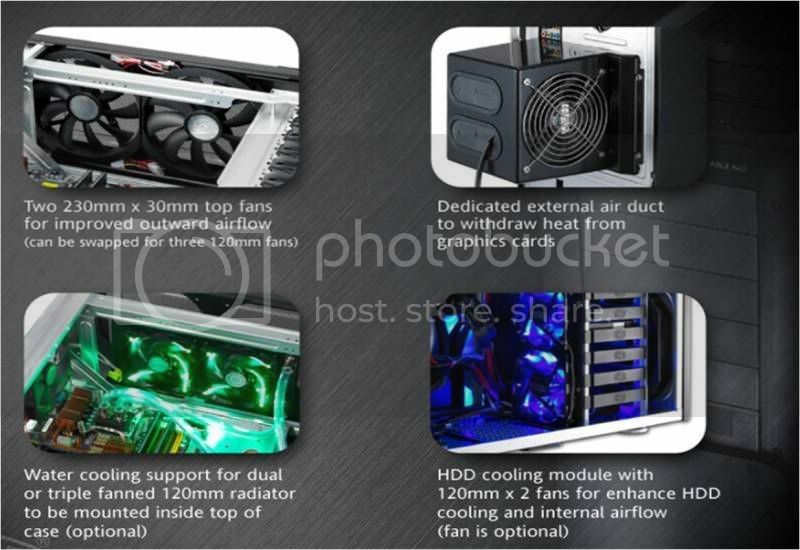 Can the front fan be changed to 120mm or 140mm? I want a much better look at the top of this before deciding whether or not I like it. Nice top fans can be swapped with 3 x 120mm's, mounting a triple rad could be possible right outside the box. Yeah, the only question now is if there would be enough room for a push/pull inside the case. The Cosmos S design makes that easy as the top 3 fans are outside the case hidden under a shroud.